Back again today with another Crafting with Kids! project. 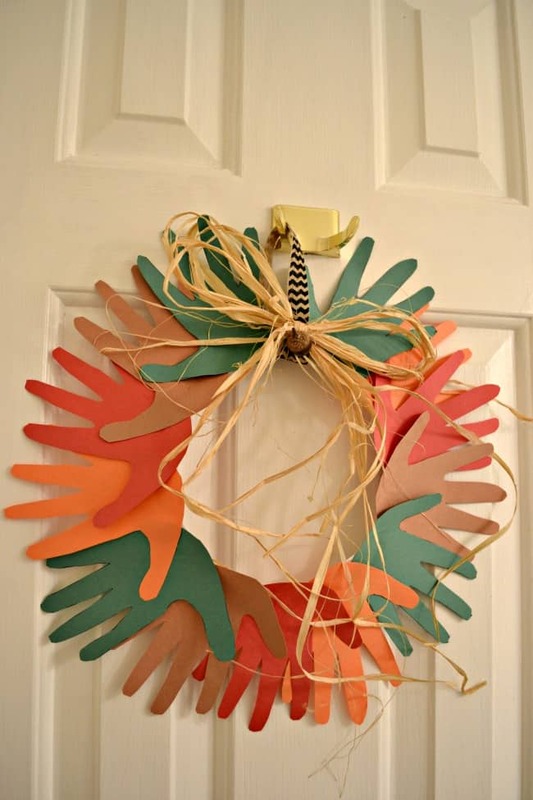 Today’s craft is a hand print wreath. Looks super cute as is or you can add some embellishments for even more fun. 1. Trace your kids hand prints. 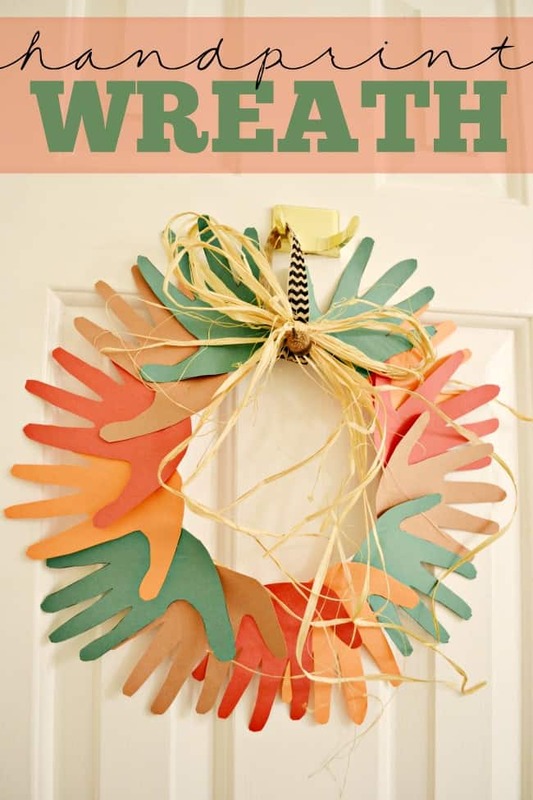 If you have more than one child that you want to do this craft with you can either make separate wreaths or you can mix and match hand prints. 2. Cut out the hand prints. 3. Cut out the inside of the paper plate. 4. 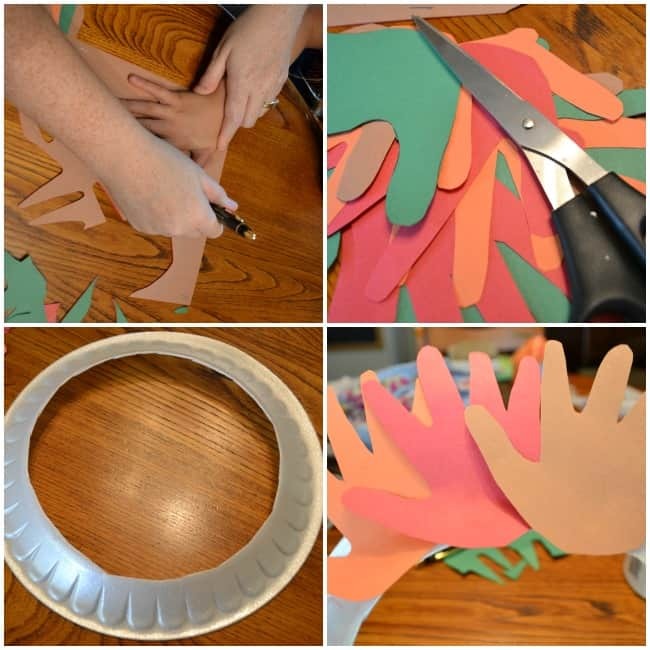 Glue the hand prints overlapping around the bottom of the paper plate. After you have finished gluing all the hand prints on allow them to dry. Once they have dried you can attach your ribbon for hanging. The raffia bow is optional but I think it gives the wreath a little more texture. We just took a few strands of raffia and typed it into a bow then hot glued it onto the ribbon. Then we took an acorn from the yard and glued it onto the raffia bow. NOTE: If you are going to be hot gluing on raffia make sure you glue it to the ribbon. Hot glue will melt styrofoam.